Allie Beucler is orginally from Kona, Big Island and, as an islander, her life has been in the water – ocean more precisely. She has been a sponsored competitive surfer, represented the NSSA College National Champions while surfing for San Diego State University, and today remains deeply connected to the watersports lifestyle. Brown is both a shortboarder and a paddleboarder, loving to take out her inflatable SUP for a ride. With a journalism degree from San Diego State University and her passion for the water life, she brings an excellent combination of skill and passion to Supconnect. Alex Mauer is from Denver, Colorado and is simply one of the world's greatest ambassadors for the sport. A white water enthusiast, Mauer quickly embraced the adoption of standup paddleboards in the rapids and became a SUP river aficionado. Today he can be regularly found on the running streams from the Colorado Mountains and is a familiar face at white water events locally and beyond. With such deep grassroots connections and an unmatched cheerfulness for standup paddling and its community, Mauer is our man on the field, working as our community assistant and helping us to continue to bring the authentic voice of the sport to our audience at large. Andre Niemeyer is the man fueling the passion for stand up paddling and our publication. With a strong background in competitive surfing, he has placed 3rd in the State of Rio de Janeiro, Brazil and has also competed for UCSD's surf team. In the winter of 2005-6, his friend Rick Thomas introduced him to stand up paddle boarding and Niemeyer has been hooked since then. 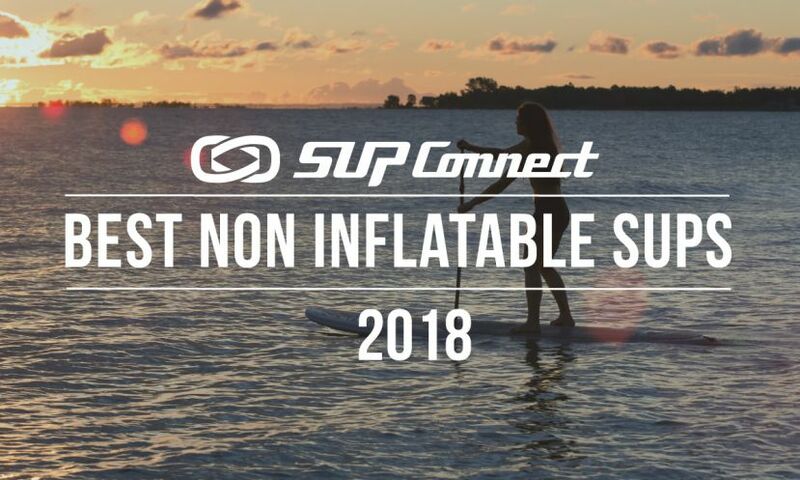 In fact, shortly after picking up the sport, he became sponsored by the world's first SUP-dedicated shop, Bob Mission's Surf Shop, leading him to earn the world's first SUP championship title outside of Hawaii by a non-Hawaiian. And he hasn't stopped since then. He has also helped found the Stand Up Paddle Industry Association (SUPIA) and continues to avidly share his passion for the sport. Niemeyer has a bachelor's degree in Philosophy, has done post-graduate research on the merge between Information Technology and Politics, and was working on his PhD in Language and Law at USC. Courtney Stafford is our accountant. She has a bachelor's degree in Sociology and has held several executive administrative positions. In addition to her experience as a Chemistry and Physics High-School teacher, Stafford has earned the Star Award at Time Warner Cable as an administrator, which is a title given to the top employee of the year among 600 employees. Her other administrative experience also includes working for the San Diego County Water Authority, where she assisted in grant-writing and other areas. An avid beach goer, she is always visiting Southern California's bays and beaches, paddling along with her family on stand up paddle boards.